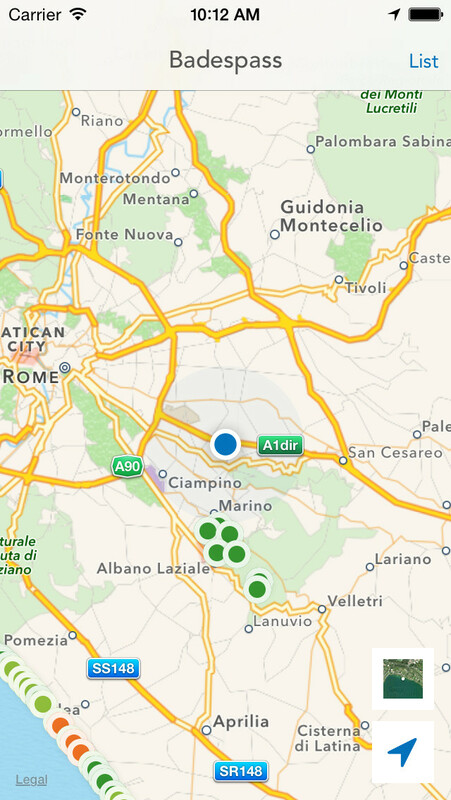 Badespass is the submission of Holger Frank together with Hannes Moser, Benjamin Erhart and Paul Steinhilber to the 2014 ESA-App-Camp in Frascati, Italy. 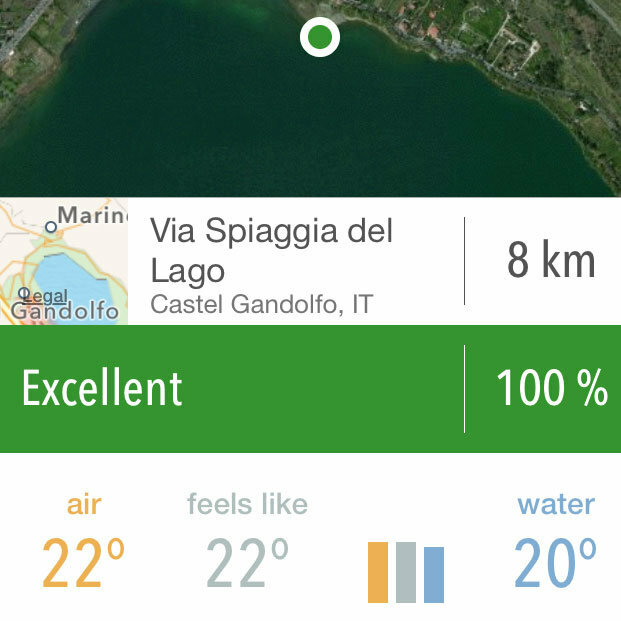 Badespass provides the user with a simple to follow recommendation for the best bathing spot in his region. 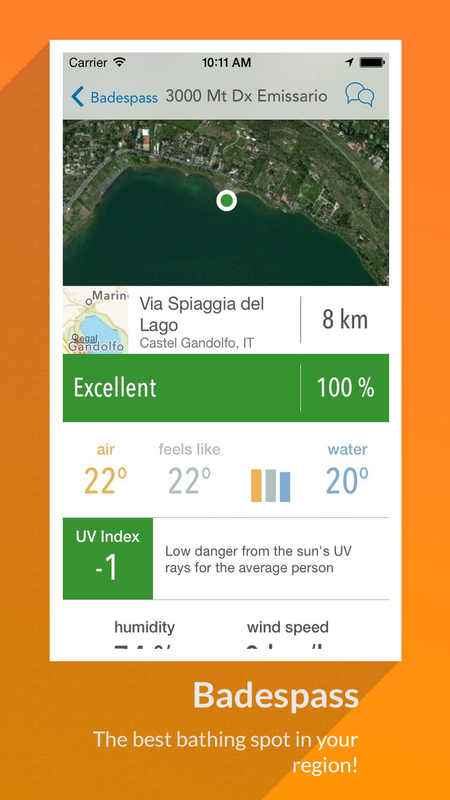 Badespass makes use of surface temperature, water and air quality data, weather data and weather forecasts to recommend the best nearby swimming lake or sea section. 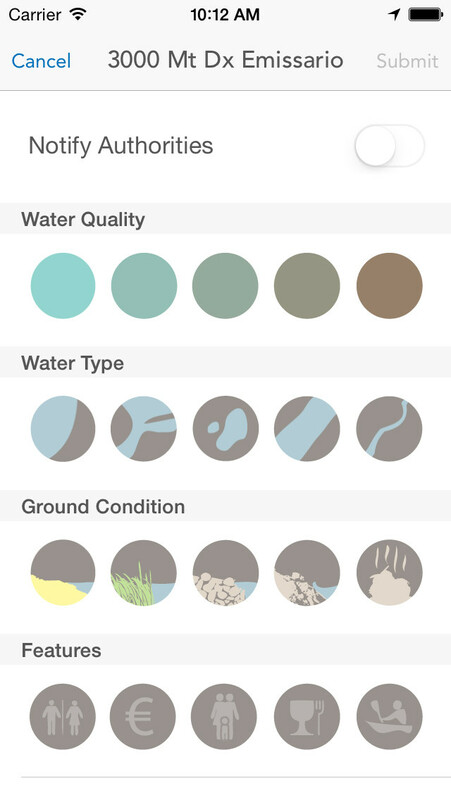 The user gets an overview about the water qualities of lakes and sea sections in his region and therefore stimulates interest in the importance of water quality and environmental protection.